On the picture you see plastic trash picked up on just 1 m². Going to the beach can be fun and relaxing. Except if there is trash everywhere and you have to clean it. Don’t clean it! Say what? Not cleaning the trash means that it will end up in the stomach of sea animals, or it will dissolve in the ocean in little plastic particles that leads to the intoxication of us all. Even if you will pick up just one piece and throw it in the trashcan, it helps! BUT, and this is a big but (’cause I can not lie) the best thing to do is to not use plastics at all because we all know where it will end up. And if you think there is no other way, try avoid plastic straws, balloons, food in plastic wrappers, etcetera. 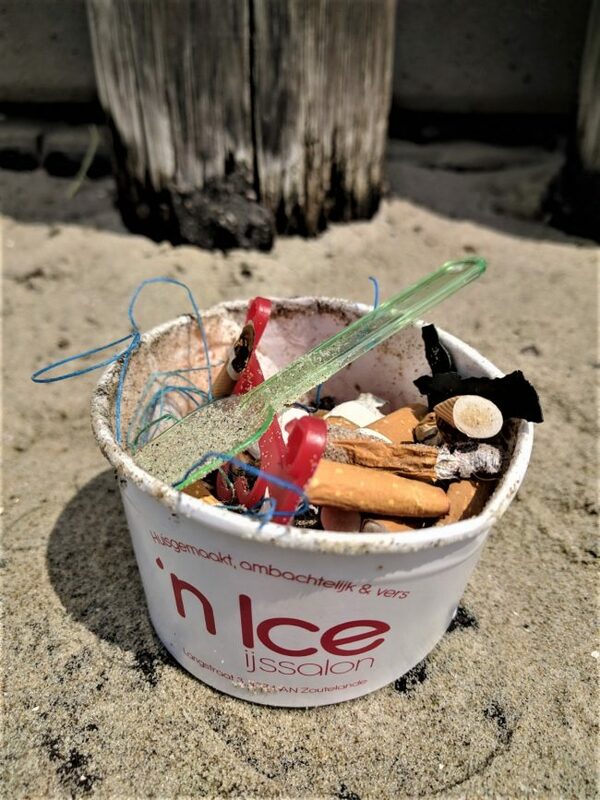 On the picture you see cigarette buds, ice spoons and pieces of fishing nets which are all plastics. Please, try and make it work for the people around you, the future of the kids and the health of many.